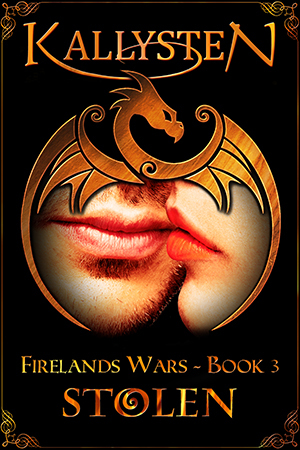 As a shifter, Galaia has always heard her dragon in her mind… until now. Not only can’t she communicate with the beast anymore, but she also finds herself a captive of vampires, with no memory of what happened and no idea about the identity of this “Jon” whose whereabouts her jailer demands to know. Anton remembers what it was like to have a dragon inside him. He was a shifter too… before he was turned into a vampire. Now placed in charge of Galaia’s interrogation, he is more than reluctant to follow his orders, and take from her what was stolen from him. With the war between dragons and vampires escalating after decades of peace, Anton needs to decide where his loyalty lies: with the woman who made him what he is today, or the woman who makes him remember he used to have wings of his own. As for Galaia, she has to find in herself the strength her dragon always shared with her if she is to escape—and if she is to make sense of the attraction she feels toward her captor. Caught between grief and danger, the two of them discover the beginning of feelings where there should be none… but will it be enough to save both their lives?